I can be a tad (a tad? !, says my loving husband) selfish and obsessive when it comes to touring. I have places to go and things to see. No dillydallying. No lollygagging. Dear old hubby is a lollygagger. So sometimes, I’m alone on my day trips. It’s really in the best interest of our marriage. It does, however, seem to disconcert some people. “Just one?” asks each ticket seller, looking at me sympathetically. 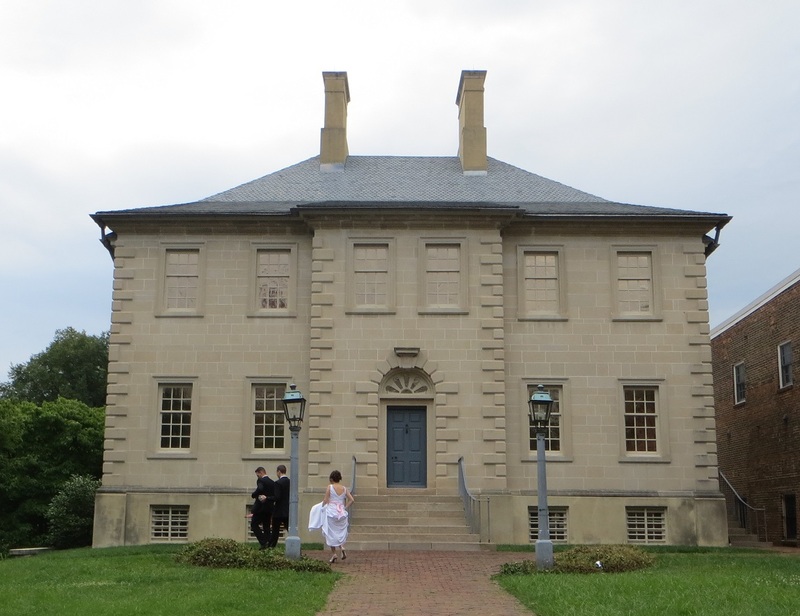 On Saturday, at the 1753 Carlyle House in Alexandria, Virginia, it was me and…one other woman. She had read in the paper that it was the 260th anniversary of the day that John and Sarah Carlyle moved into the house and she had driven in, alone, from the suburbs for a tour. A kindred spirit! The house was built by John Carlyle, a Scottish merchant who had married into the very wealthy Fairfax family of Belvoir Plantation, located just south of Alexandria. It became a footnote in national history when, as the finest house in Alexandria, it was chosen by British Major General Edward Braddock to serve has his temporary headquarters while in Alexandria for a few days during the French and Indian War. It was right before he marched off to Fort Duquesne and got himself killed. Actually, he planned the Fort Duquesne expedition at the Carlyle House. You wouldn’t think that would be something that anyone would want to remember, but the museum hosts a reenactment of Braddock’s time at the house in 1755 each April. 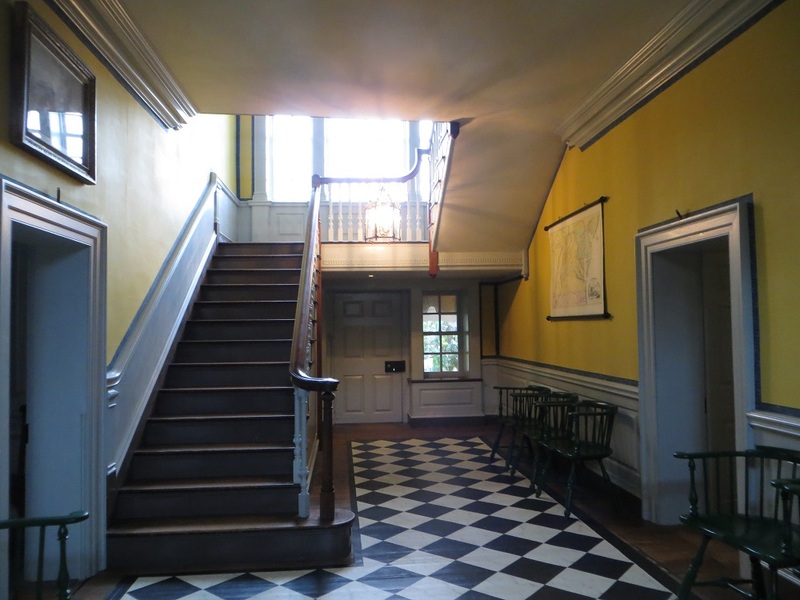 Our guide had been volunteering at the Carlyle house for 30 years and knew the place inside out. Between the three of us, it was like homecoming. 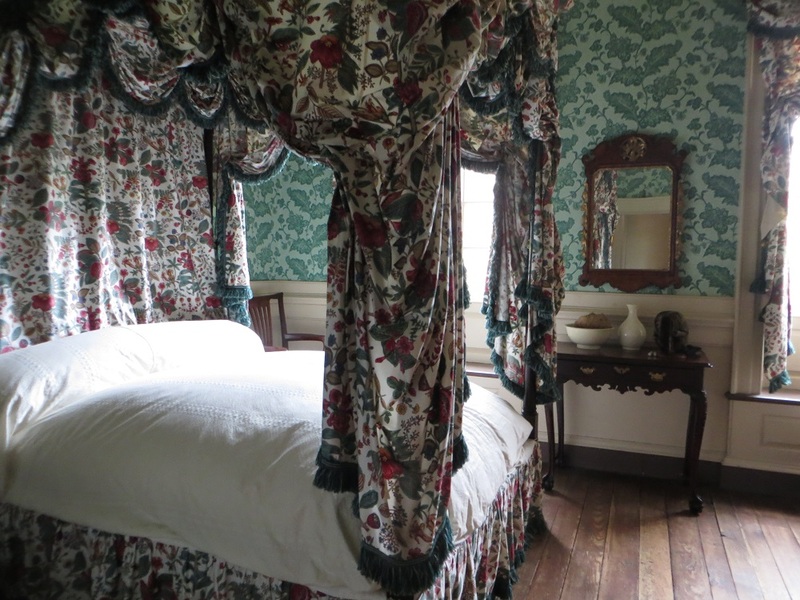 I wasn’t alone in caring that John and Sarah Carlyle’s bed had been given back to the house recently, by Carlyle descendants. Or in wanting all the details of the painstaking courtship of the descendants that had taken place in order to get the bed and other items back. While I was searching online for Carlyle House information, I came across a blog by a public historian called Interpretive Challenges. He has a very interesting post about his experience as a slave interpreter at Carlyle House. Gallery | This entry was posted in Virginia and tagged Alexandria, Carlyle House, General Braddock, historic house, John Carlyle, Sarah Fairfax Carlyle, Virginia history. Bookmark the permalink. Thank you! I always enjoy yours. Very nice elegant looking house. I’ve never noticed if anyone has asked ‘just one’ but I suppose I have spent a lifetime wandering around the place on my own. There again, I rarely visit paid-for places there days! I think there are a lot of advantages to doing things on one’s own. Thanks for the information. I’m planning on doing it. Great house! I will add it to my “to-do” list along with Apothecary Museum. I sometimes have to take Nerd Trips by myself. It’s fun to find other kindred spirits on these tours. The Apothecary Museum is going to be my next post. It was terrific! Know what you mean about touring solo – I have no one local so fanatic about historic properties, and it’s really depressing to haul someone along who isn’t interested. So my local touring is done alone. But sometimes I run into a kindred spirit, like I did recently at the Tobias Lear house in Portsmouth. SO much fun! We visited this one together, didn’t we? – I still have the book. Such a truly elegant but not stuffy home. Glad they got the bed back! I think we did — at least 30 years ago. I didn’t remember, but the docent said that it must have been empty then. I do remember that they hadn’t quite finished plastering the walls.